It may seem odd that in order for a child to become an independent, separate being they need to first depend on an adult for caretaking. It is the generous invitation for relationship from a caring adult that frees kids from their hunger for connection. When a child can take for granted their relational needs will be met, they will be free to play, explore, and express themselves on the world around them. 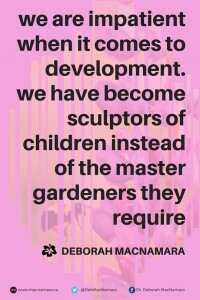 We need to work at creating the relational playgrounds for our children to flourish in, it is here they grow into the people that only our love can make them. 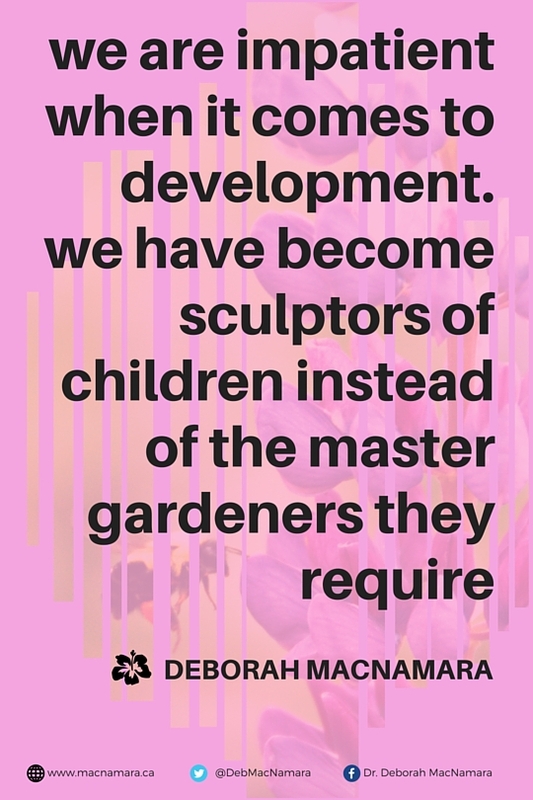 There is a difference between a child who has been told how to act mature and one that is naturally maturing as a separate, social and adaptive being. We often don’t distinguish between the two and can become consumed with monitoring a child’s behaviour as if this were the answer to growing a child up. Children will grow when adults seize the lead in cultivating strong relationships with them and when preserve their heart and foster the conditions for play. 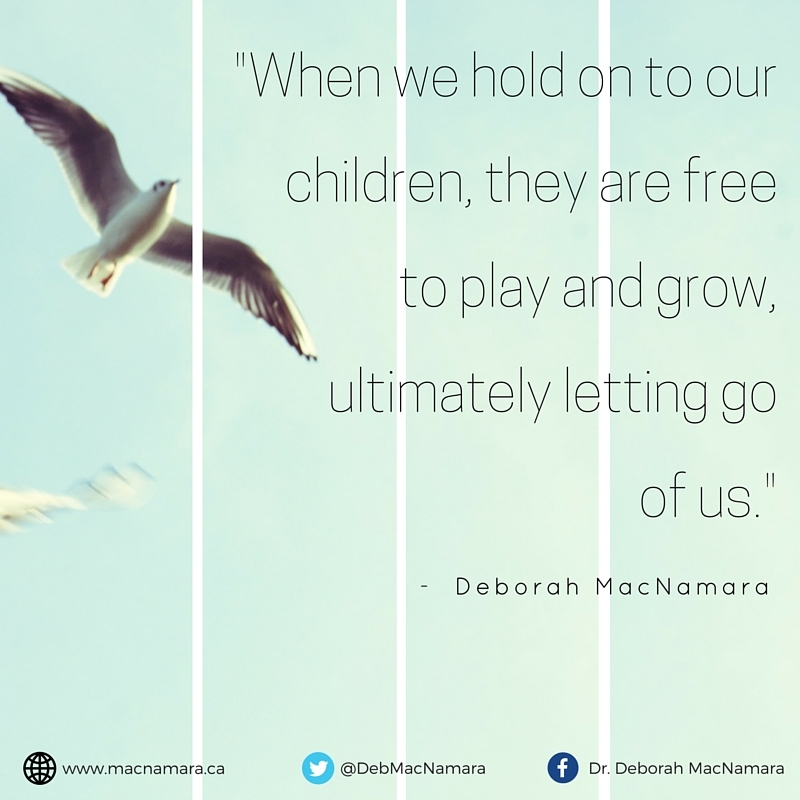 Managing the immaturity of children is the job of adults – it’s what we do while waiting for nature to grow our kids up. We have laws against making children work for money but few that protect children’s playtime from being eroded by work. Beyond the increased hours spent in structured activities, screen time, shopping, and schooling, there is a further insidious, invisible force that erodes children’s play today. 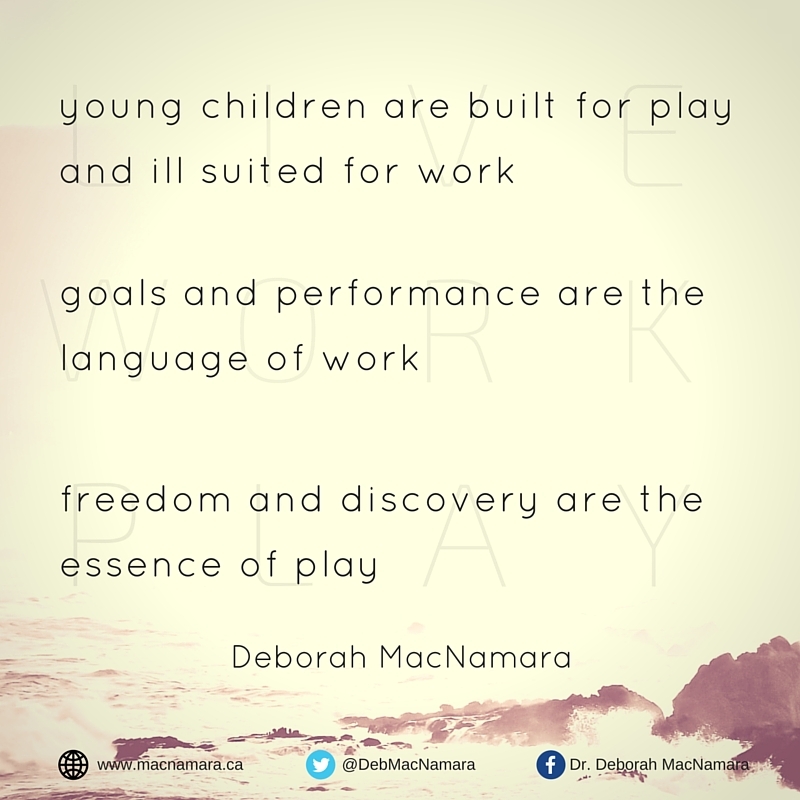 It is about the preoccupation with playtime as needing to be productive and having tangible, measurable outcomes. Playtime shouldn’t be about anything but what kids do in that moment and what it means to them. There are outcomes to play for sure, like healthy growth and development but this is nothing our children were ever meant to worry about. The real work is for adults – we need to generously provide for their relational needs so they are free to rest, play, and grow.